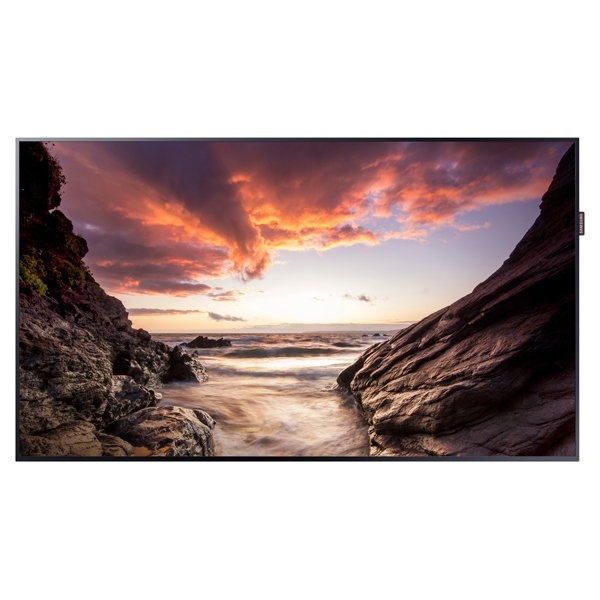 Samsung PH-F Series high brightness commercial displays an ultra-slim and narrow design. They're built for 24/7 run-time and have an embedded System on Chip media player for simple remote content management. The non-glare panel offers improved visibility, plus IP5X certified dust protection allows for smooth installation. Powered by an embedded System-on-Chip semiconductor and quad core CPU with 8GB of storage, Samsung's SMART Signage Platform is an open and integrated player side media platform that provides a powerful, streamlined digital signage solution, with digital signage software like MagicInfo T for PC-less content creation, scheduling and playing and remotely managing content.